This reverb produces different reverbs! REFLECT comes with a huge amount of factory presets. These presets are very usable or good as starting points. 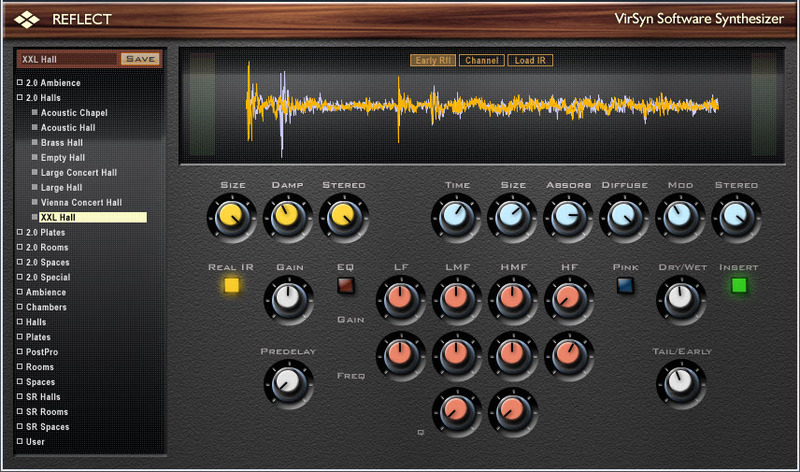 The sound of this reverb not as "removed" from the signal (original) as those of BREEZE and TSAR-1. So we doesn't get another nice "3D-reverb" with REFLECT. Further, The sound of the REFLECT isn't "warm" as we have it with BREEZE. 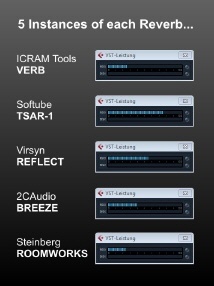 Nevertheless most of the presets produce a natural sounding reverb. 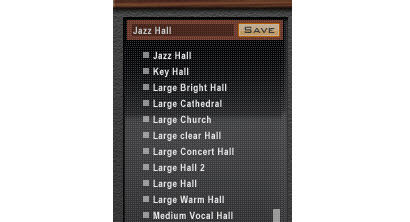 You also get a lot of "Ambiance-Presets" which could be very interesting in certain circumstances. The usage of CPU-Power is very moderate. So this is a product which seems to be well developed. Nevertheless I had some crashes with my 64-bit Cubase (Win). 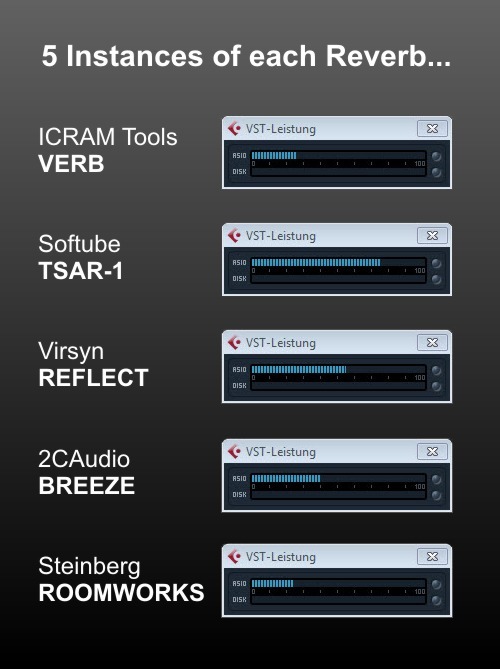 But maybe it is Cubase, which isn't able to handle this 32Bit VST- effect properly.